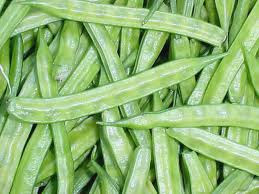 During last week there was upward price movement in guar and guar gum prices due to poor arrival of guar seed in market. Stockist and processing industries are regularly buying the new arrival of guar crop in large quantity. There is news that guar crop has damaged due to heavy rainfall in irrigated areas and it has also damaged in rainfed area due to poor rainfall. There are initial predictions that arrival of guar crop will be remain tight. As per market men arrival will not improve in next 2-3 weeks due to poor arrival during Diwali festival period. There is Diwali on 7th November, a major festival in India. Upward prices movement in guar gum seed was noticed yesterday after the opening of business in future market for the current week. Price of guar is quoted high in local physical markets or grain mandi. Trade of guar seed in local market is being done at higher prices. There was no impact of down ward price movement in guar at commodity exchange on last trading day of last week. Trading of guar in physical market was unaffected with downward price movement. Prices of guar gum is also strong with guar seed. Guar gum prices are showing upward price movement with increase in number of oil rigs in USA and increase in crude oil production. There was significant upward price movement in prices of guar gum during last week. Prices of Guar gum will also remain positive in this week. If the processors get good prices of Guar meal /Churi / Korma then prices of guar gum may be quoted low. Export data of last month has not been released by govt till now. Prices of guar seed and guar gum will remain strong in this week. Farmers will carry their produce in market slowly and slowly, stockist and processors will continue to buy their produce. Prices of guar are strong and keep increasing even with arrival of new guar crop with poor quality, black seed and more moisture. Keep the position strong in physical stock. Arrival of guar seed will be poor in Jodhpur region due to damage in rainfed guar crop. Prices of Guar will remain above Rs 4500 /100Kg. Guar is being traded at higher prices in commodity or future market for next month’s contracts than the current month contract. Farmers should avoid carrying their complete produce in market in one lot. If the arrival will increase then it would put pressure on guar seed and guar gum prices. मुनाफा वसूली के कारण ग्वार के भावों में ऊपर के स्तर से गिरावट. इस सप्ताह भी बाज़ारों में ग्वार व ग्वार गम के भावों में तेज़ी बनी रहेगी । किसान का माल धीरे धीरे बाज़ार में आएगा लेकिन स्टॉकिस्ट व मिल मालिकों की खरीददारी जारी रहेगी । अभी ग्वार फसल की आवक में नए माल की कीमत काले, ज्यादा नमी, निम्न गुणवत्ता होने के बावजूद भी सकारात्मक दिशा में चल रही है । हाज़िर बाज़ार में माल पर अपनी पकड़ बनाये रखे ।। राजस्थान के मरुस्थल क्षेत्र में ग्वार फसल ख़राब होने कारण ग्वार की आवक जोधपुर मंडी को कम रहेगी । ग्वार के भाव रुपये 4500 रुपये /100 किलो के ऊपर बने रहेंगे । वायदा बाज़ार में आगे के महीनो ( नवम्बर, दिसंबर ) में ग्वार ऊँचे सौदों में बिक रहा है । किसान भी अपने माल को एक साथ बाज़ार में ला कर बेचने की गलती ना करे । ऐसा करने से ग्वार की आवक बाज़ार में बढ़ेगी और कीमतों पर बेवजह का दबाब आएगा. Demand of guar gum will increase, with increased crude oil production. As per the Backer Hudges 4 new oil rigs of crude oil production has added in this month in USA. Currently 1067 oil rigs are functional in USA which are 154 higher than previous year. This is good news for Indian guar gum industry. Consumption of crude oil in Chinese oil refinery is increasing. Consumption of guar gum will also increase with new fracking activities. Arrival of guar gum is increasing in local markets. Stockist are buying guar in bulk. By the end of this month good arrival of guar will start from rainfed area. Speed of arrival of guar from rainfed area will be limited as farmers of rainfed area can hold guar for longer time in comparison to farmers of irrigated area. After the harvesting farmers from irrigated area clear their old credit and buy the farm input for new crop, so they can’t hold the guar crop for longer time. Colour of guar seed has turned black in irrigated area due to rainfall in last period of crop maturity. If the prices of guar remain good at arrival of guar crop in market then it will boost the guar seed and guar gum prices during rest of year. Export of Indian guar churi korma can increase to China because import of soya protein in China has decreased from USA due to some trade dispute. If export of Indian guar churi korma increases, then guar prices will get good support in local markets. Prices of guar gum is also good with prices of guar seed. 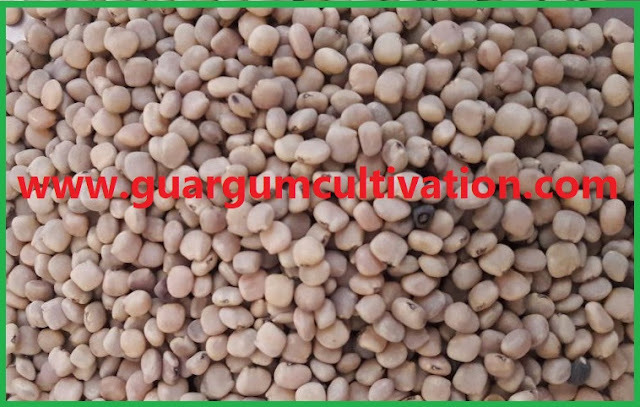 Guar gum is an export demand driven agriculture commodity. Guar is consumed in local markets, but guar gum is consumed in international markets. If arrival of guar seed remains tight in local market, then prices of guar seed will reach near to Rs 5000/100Kg around Diwali. Guar seed prices are increasing in peak arrival period. This is arrival period of Guar seed in guar growing belt. Generally, with the starting of October month, price of guar seed start to fall due to peak arrival period. But this year price movement is totally in different trend. As per market man actual guar seed production seems to below the estimated guar seed production during cropping period. First arrival of Guar seed production from irrigated guar growing belt is of very poor quality. 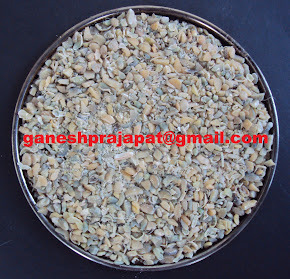 Generally, Haryana side guar is considered as good quality guar seed. As pictures of Guar seed shared by some traders from Haryana it can be observed that quality of guar seed arrival in market is very poor. It is totally black in colour. Even after poor quality traders are buying the black guar with regular guar seed prices. Prices of Guar seed are under pressure since last three - four years. With opening of guar seed prices around 4300-4500/Kg for the current harvest season, is good start. Even if prices of guar seed remain same at current level of 4500/Kg during whole arrival season then it will give boost to the prices of guar seed during whole year. With current guar seed prices, prices will touch to 6000 level during current production cycle. Other major kharif commodities are covered under the MSP. Guar don’t have any boost of MSP. It is demand driven commodity. Production factor has almost completed for guar seed will not change for next 9 Months. Now the complete guar seed prices movement will be only on demand basis. Guar is an industrial commodity which is used in many industries, Major part of guar is used in oil and natural gas industry. During last week oil prices were on boil. There were many geopolitics blame game that USA wanted Saudi Arabia to control the oil prices by increasing the oil production. Saudi Arabia refused to do so. After that USA oil companies increased the production and prices of crude oil has little bit come down. There is possibilities that fracking activities will increase in USA, with upward crude oil price movement. Guar seed and Guar gum commodities are being quoted at higher prices in local guar trading agriculture market . Prices of Guar seed and Guar gum both are quoted high. Future trading of Guar seed and Guar gum are strong due to tight arrival and agressive buying. Good quality of guar seed is traded at Rs 4500/100Kg and average quality guar seed is traded at Rs 4200/100 Kg. Standard quality guar gum is traded at Rs 9500/100 kg. In interior location, guar seed is traded up to 4100/100 Kg. Guar seed is being traded strong in the future market. At NCDEX (National Commodity & Derivatives Exchange Ltd) guar seed-10MT closed at Rs 4543, 4608, 4672 higher by 3.2 percent or INR 141/100 Kg, 2.89 percent or INR 129.5/100, 2.68 percent or INR 122/100 Kg with open interest of 103480, 22870, 150 for November, December and January month contracts. Guar gum is also being traded strong in the future market. At NCDEX (National Commodity & Derivatives Exchange Ltd) Guar gum- 5MT is being closed at Rs 9800, 9920 higher by 3.09 percent or Rs 294/100Kg, 2.96 percent or Rs 285/100 with an open interest of 60365, 9390 for November and December month contracts. In peak arrival period, arrival of guar seed is not increasing in local markets. This is peak arrival time of guar. 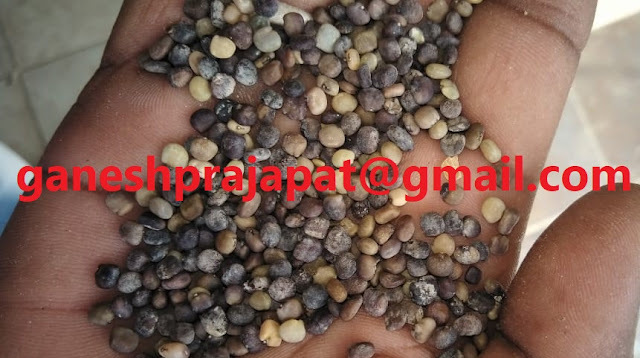 Most of guar seed stockist and processors buy and stock guar seed in this season only. 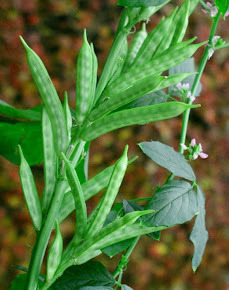 Arrival of guar is noted poor in all the major guar markets in the starting of arrival season. Peak arrival of guar seed may take another 10-15 days. Quality of Guar is noted poor in most irrigated belts, but traders are buying it. Once the guar processing factories will start then consumption of Guar will also increase from factories. There are demand of 30,000-45,000 bags of Guar per day processing consumption. Guar price may volatile with poor arrival, poor quality and increase global demand. In global market volatility may come in Crude oil prices. Recently US has announced to sanction against the Saudi Arabia. If the crude prices cross in level of USD100/MT. It will boost fracking oil production globally. Consumption of Guar gum will increase with the increased fracking activities. As per export data export of guar gum is increasing. This is election year prices of most of food commodities are under control with good availability and increased production. Scenario with guar commodity is different. Production of guar is estimated poor than previous year, demand of gaur gum is expected to increase with increasing prices. In Forex market USD is stronger than Rs, US importer will try of import more quantity guar gum with strong USD. Stockist and speculators are active with prediction of low production and increasing demand. After Diwali guar seed and guar prices may start to move upward. Current prices levels of guar seed are good to buy or stock. There is lesser space for lower movement with bad fundamentals upward side is open with good fundamentals. Last year Guar sport prices were around 3700-3800/100Kg during the October month. This year spot prices of guar seed are moving around 4200-4300/100Kg in this month. There is basic boost of 400-500 / 100Kg in sot prices. Fundamentals of guar seed are strong for this year. Guar seed and Guar gum commodities are being traded strong in local guar growing belt. Prices of Guar seed and Guar gum are quoted strong. Future trading of Guar seed and Guar gum are strong weak due to poor arrival and strong buying. Good quality of guar seed is traded at Rs 4300/100Kg and average quality guar seed is traded at Rs 4100/100 Kg. Standard quality guar gum is traded at Rs 9200/100 kg. In interior location, guar seed is traded up to 4000/100 Kg. Guar seed is being traded strong in the future market. At NCDEX (National Commodity & Derivatives Exchange Ltd) guar seed-10MT is being traded at Rs 4269, 4329, 4395 higher by 2.88 percent or INR 119.5/100 Kg, 2.2 percent or INR 94.5/100, 1.96 percent or INR 85.5/100 Kg with open interest of 3910, 110780, 15880 for October, November and December month contracts. Guar gum is also being traded strong in the future market. At NCDEX (National Commodity & Derivatives Exchange Ltd) Guar gum- 5MT is being traded at Rs 9315, 9471, 9605 higher by 2.89 percent or Rs 262/100Kg, 2.46 percent or Rs 227/100, 2.56 percent or Rs 240/100 with an open interest of 805, 63620, 3600 for October, November and December month contracts.